Until I get those folder labels I should have ordered with the folders (duh! 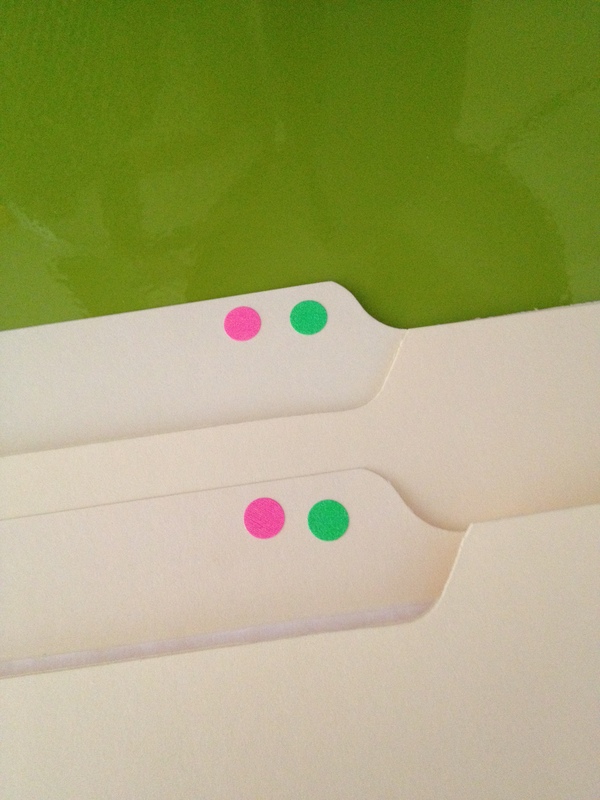 ), I’m going to mark the folders with little dots–pink for scanned letters; green for transcribed letters. Today, I’m doing an assembly line chore of scanning letters and placing them in folders, as well as creating the database file for each one. At first I did the whole process per letter, but the transcribing is the task that slows everything down, and I really want to get them out of the envelopes and scanned.